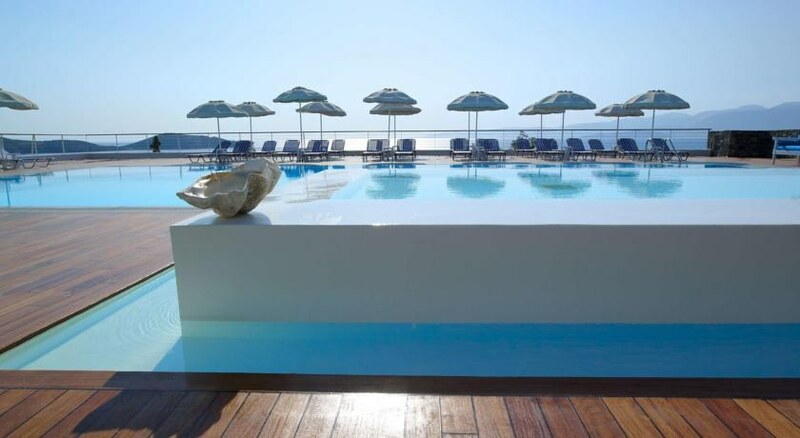 Featuring an amazing outdoor swimming pool that offers fantastic unobstructed views of the Mediterranean Sea, the Elounda Ilion Hotel is perfect to have a luxury holiday in Greece. 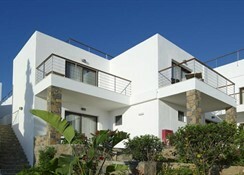 Located in the north eastern part of Crete near a bay, the hotel isn’t too far from the beach. The guestrooms at the hotel are simply spectacular. 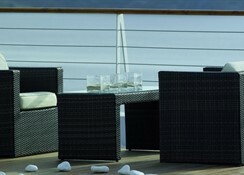 They feature a modern yet elegant décor and infuse a sense of calmness from the moment you enter them. There are a total of 85 guestrooms in the property. 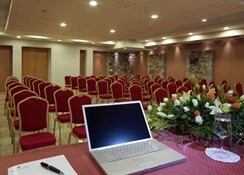 The hotel houses an excellent restaurant serving local and international cuisines. There’s also a bar serving alcoholic and non-alcoholic beverages, and a snack bar seving light bites. The Elounda Ilion Hotel is located 9.3km from the city of Agios Nikolaos and 3.6km from the village of Elounda in an elevated position, offering panoramic views of Elounda. The next bus station is about 100m from the hotel. The Heraklion Airport is 68.4km from the hotel’s doorstep. The beach is only a few hundred metres from the hotel. The 85 luxurious guestrooms at the Elounda Ilion Hotel are categorised as double room garden view, double room sea view, superior bungalow sea view, family room one-bedroom sea view, family suite two-bedrooms sea view and junior suite Elounda panorama. All rooms, well-lit with bright sunshine filtering through large windows and balcony, come dressed with twin or double beds, telephone, satellite television, in-room safe box, private bathroom, etc. A few facilities such as laundry services, air conditioning and extra beds are also available on request and may incur charges to be paid locally. 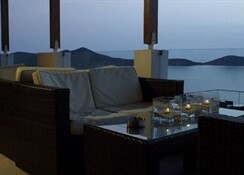 The Elounda Ilion Hotel’s onsite restaurant serves both local and international cuisines. The bar, located in the hotel’s lobby, serves alcoholic and non-alcoholic beverages. The onsite snack bar offers finger food and light bites between meals to take care of your hunger pangs. The hotel facilities include 24-hour reception, safety deposit box (at the reception with extra charge), internet access, restaurant, bar, conference room, swimming pool, children`s pool, children`s playground, tennis court, parking, garden and sun terrace. The rooms are equipped with private bathroom (shower/WC) air conditioning, safety deposit box (with extra charge), sat TV, telephone, hair dryer, mini bar (with extra charge), fridge (on request and with extra charge), balcony or terrace.